Click map to enlarge. When finished viewing click off to side of map to close. Outdoor game areas – equipment available to checkout in office (horseshoes, volleyball, balls and bats). North of our park office has both pull-thru and back-in sites. The pull-thru sites feature easy in/easy out for those of us who don’t like backing up. 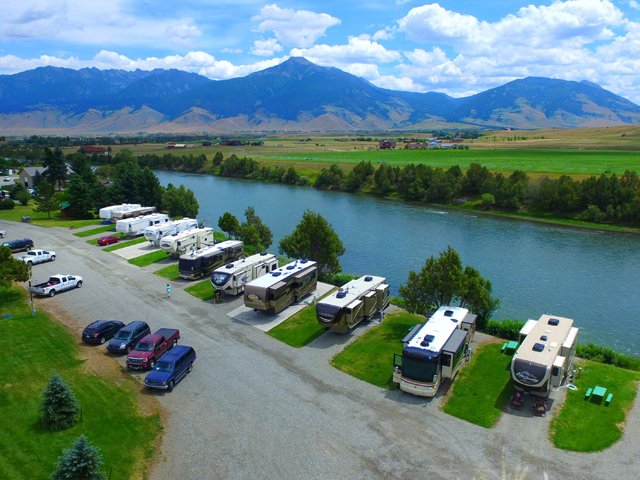 The river is just a few steps away, no matter where you park! 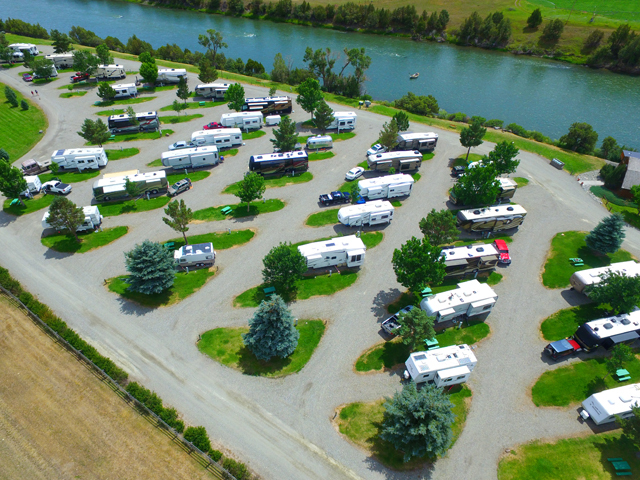 These sites are 32 feet wide and 60 to 90 feet long, with full hook-ups and 30/50-amp power supply. 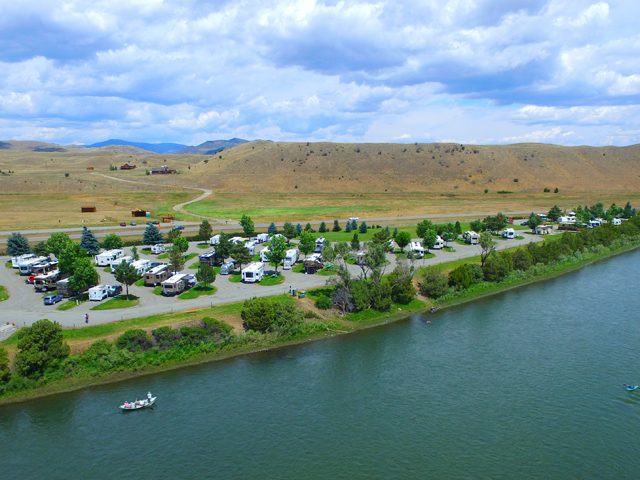 South of our park office sites are all back-in sites that are 32 feet wide and 60 to 90 feet long, with full hook-ups and 30/50-amp power supply. 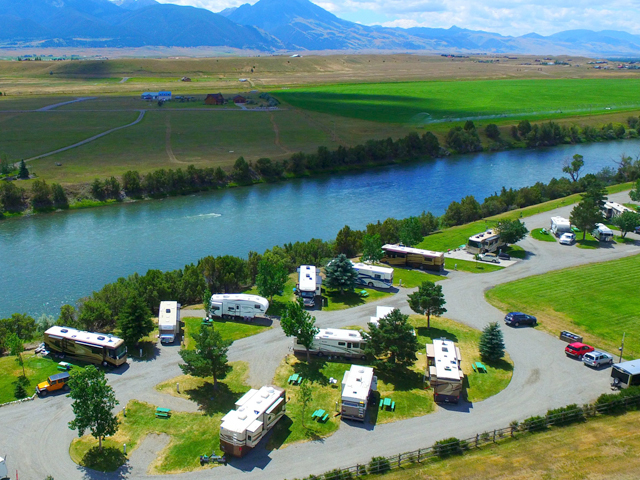 The Yellowstone River is just a few feet from your door! Fishing, anyone? These sites have been pre-wired so that a phone can be installed by calling the local telephone company and requesting service, if desired. 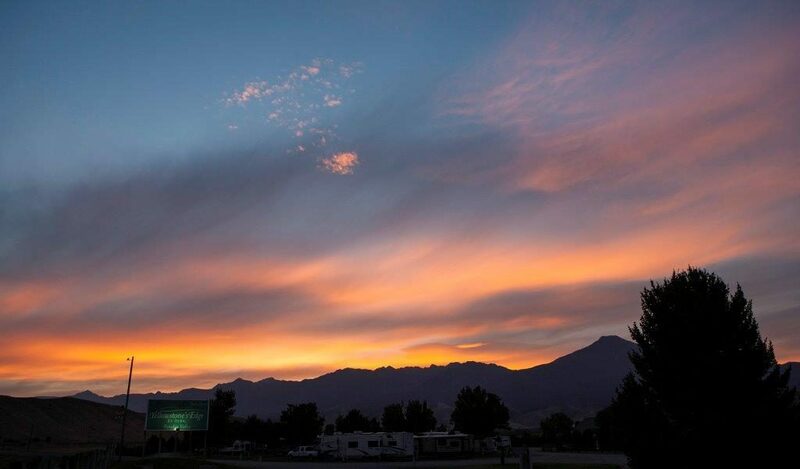 Whether you choose a pull-thru site or a back-in site, the North End or South End of our RV Park, the views of the Absaroka Mountains and Emigrant Peak are breathtaking. 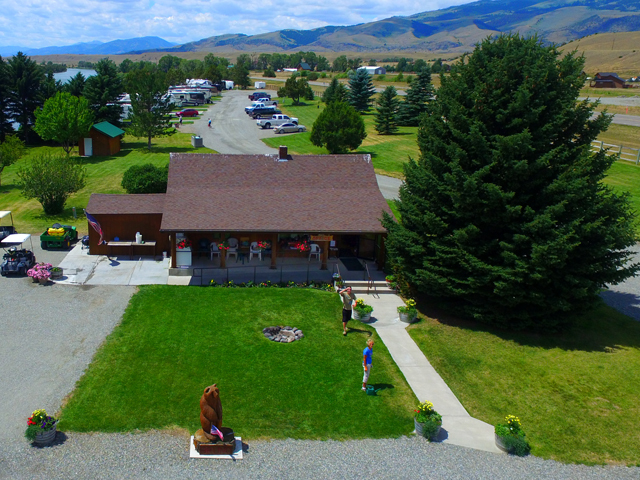 Yellowstone’s Edge offers high speed wireless internet. Our newly updated network consists of a fiber connection to the central hub where it is then distributed using state of the art Ubiquiti brand radios and antennas. A basic level of service is included with the site rental.